I recently made a post with Ti Sento jewelry but I could not resist using the Ti Sento Portofino collection once again when this great matching J.Crew outfit caught my eye. This time I combined the summer inspired Ti Sento jewelry filled with sun and luxury, with a great J. 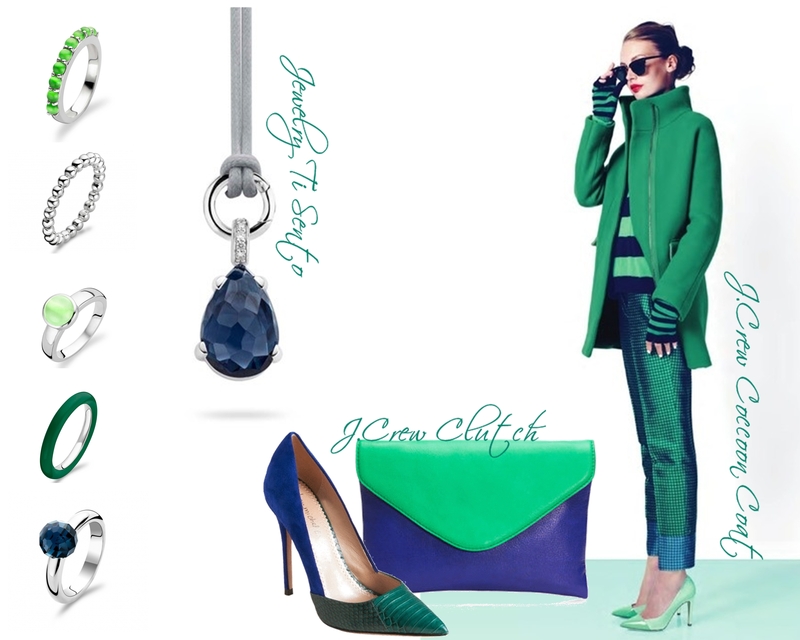 Crew winter outfit in emerald green and cobalt blue. I don’t know where you all live but I am originally from Holland and they have had a great winter this spring. Actually every spring they are having great winters! Dutch people can’t wait for sun. They have to create it themselves! Adding color to your wardrobe and jewelry is the way to do it.